Be aware and sympathetic during transitions – starting school, potty training or a new sibling could be stressors. Make sure you’re listening to your child, not just hearing them – feeling understood and respected will go a long way. Reward with praise and attention – reinforce good behavior with plenty of positive parenting. 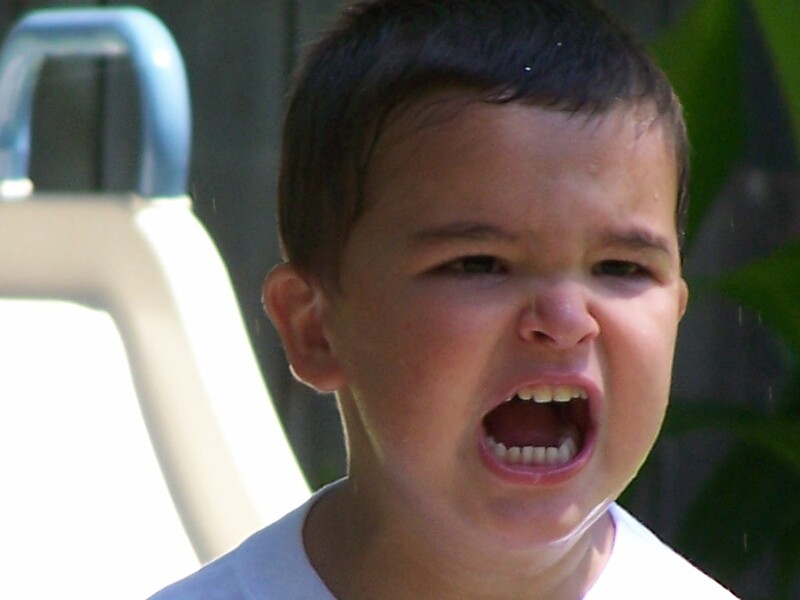 Avoid shouting matches and harsh punishments – these reactions can make tantrums worse. Laughter is the best medicine – try humor to defuse a situation, shift their mood with a tickle, hug or silly song. Redirect – if you see a tantrum coming, shift your child’s attention to something new. As children develop their language and comprehension skills, they usually tend to outgrow tantrums. In the meantime, the way you deal with them is important. Handling your child harshly or ignoring him/her altogether may cause tantrums to worsen and linger longer. Fostering respect and manners as well as establishing expectations, limits and consequences is a good preparation strategy for any public outing. Setting examples of good public behavior is vital. Parents should take advantage of teachable moments and be sure to reinforce the rules they have set. Children need clear expectations and consequences explained to them on a consistent basis. Prepare for positive outings by planning ahead. Parents can help to prevent bad behavior by avoiding major disruptions in their child’s normal routine and schedule. Make sure trips to the mall, market or your friend’s house do not cause children to skip a snack, meal or nap. When your child exhibits good behavior, be sure to acknowledge it with a ‘thank you.’ Praise for a job well done goes a long way. Positive reinforcement instills pride and motivates children to make good behavior a habit. Resorting to bribes teaches children to value material rewards over intrinsic satisfaction. Your encouragement and praise will more often be incentive enough and build your child’s self confidence. Applied on a daily basis, these lessons can help your little one develop into a much friendlier companion, guest and citizen at home as well as in public.